In a tweet on Monday, Mr Tusk wrote: "Together with (Canadian) PM @JustinTrudeau, we think Thursday's summit still possible. We encourage all parties to find a solution. There's yet time." But at talks with Mr Martin on Monday, it emerged that two other bodies, Brussels and that of the French-speaking community, also opposed Ceta. The Belgian socialists' fears echo those of anti-globalisation activists, who say Ceta and deals like it give too much power to multinationals - power even to intimidate governments. On Sunday, the European Commission presented a new clarification to Wallonia on the mechanism for settling disputes with investors. But Belgium's RTBF news reported (in French) that the latest EU document did not satisfy the Walloon politicians. Canadian Trade Minister Chrystia Freeland was bitterly disappointed on Friday when talks with Wallonia broke down and she flew home, during an EU summit in Brussels. On Monday, Wallonia's regional leader Paul Magnette warned: "We will never decide anything under an ultimatum or under pressure." 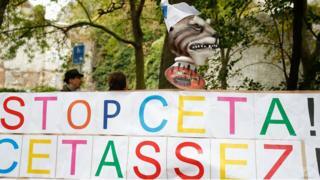 His counterpart in Belgium's Dutch-speaking Flanders region, Geert Bourgeois, said the blockage was "a real shame". "We're the laughing stock of the whole world," said the centre-right leader, quoted by Reuters news agency. 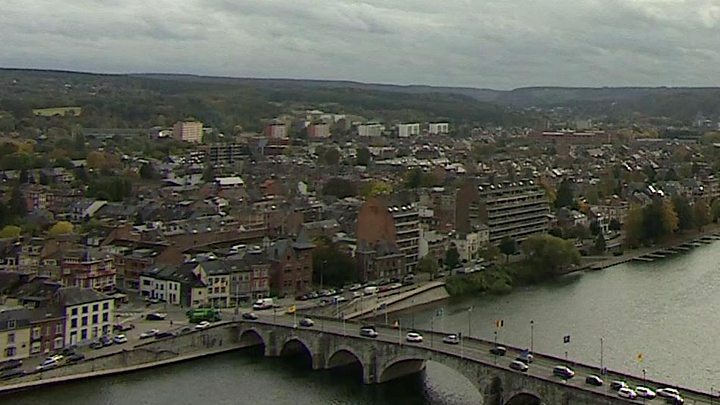 "It's bad for Wallonia, for Flanders, for Belgium, for Europe, for the whole world." Some UK politicians see Ceta as a potential model for a Brexit trade deal with the EU. Ceta does not involve EU-style free movement of labour. But for British services - 80% of the UK economy - the Ceta terms are less favourable than those they have now.